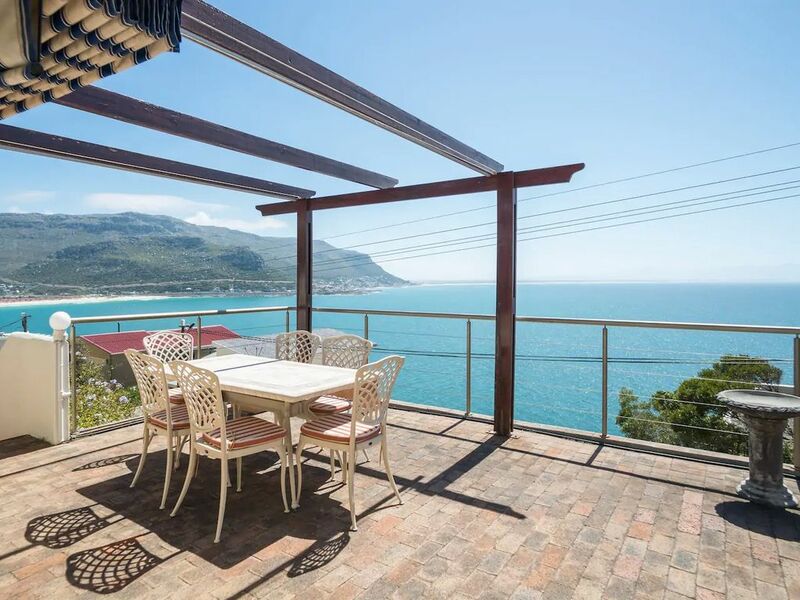 Situated on the slopes of Fishhoek, this quaint little cottage has spectacular views overlooking False Bay. With two bedrooms and two bathrooms, it is the ideal getaway for a small family or group of friends. Each bedroom has a double bed and built in cupboards. There are 2 full bathrooms that both have a bath and a walk-in shower. This seaside village is surrounded by rugged mountains and boasts one of the safest swimming beaches in Cape Town. Fish Hoek is a glorious bay with a beautiful white sandy beach, with colourful Victorian bathing boxes that add a festive flavour. The beach is a favourite with wind surfers, lifesavers and hobie cat sailors. Visitors will mingle with the locals who swim and walk their dogs on the accessible beach or stroll along the catwalk which heads southwards to Sunny Cove. Fish Hoek Galley, situated right on the beach offers a restaurant and take-aways and is a prime whale watching site to view the Southern Right Whales when they are in the bay to calf between July and November. Fish Hoek is home to an early stone-age historic site where the remains of the 12 000 year old Fish Hoek man was found. More history of the area can be found at the Fish Hoek Valley museum.